Andy has been our decorator/handyman at our home in Hartland for many years. His expertise, advise and professionalism has never faulted in all the years we have used his services. We have no hesitation in recommending Andy to anyone who is looking to have their home spruced up, no matter how large or small the project. We asked Andrew Harvey to give us an estimate for the redecoration of our stairwell and corridors. He sent us a written estimate within 48 hours of his inspection of our house, and did an excellent job, arriving punctually, working quietly and clearing up completely at the end of each working day. He completed the work within his estimated time and at the estimated cost. We are delighted with the results and would gladly recommend him to others as a painter and decorator. Since we moved to live in North Devon some seven years ago, Mr Harvey has met all of our painting and decorating needs: two complete house redecorations and any lesser work that we have needed. We have always been happy with Andy's standard of work, found him to be cheerful, honest and punctual and have no hesitation in endorsing his workmanship. 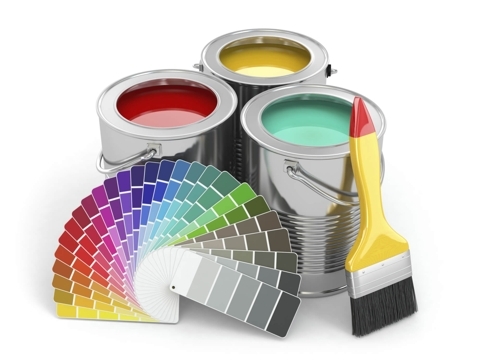 Just a few lines to thank you for all your professional painting and decorating work, both internal and external, on our property over the past eighteen years. We have very much appreciated the high quality and reliability of your services. We thoroughly recommend you to others. We found Andy Harvey to be a very good worker; being thorough and diligent. He also cleaned up afterwards. We would certainly use him again in future.